Think Spring! Our edible flower box :) This sweet and floral box contains 4 of our most popular flavors. 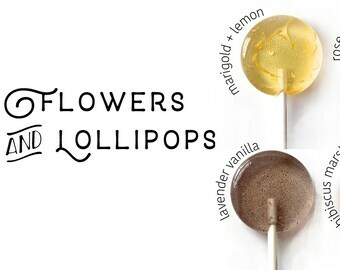 Lavender & Vanilla Bean: Fresh scraped vanilla beans combined with our lavender simple syrup. Rose & Honey: Rose petals are freshly ground per order and combined with rose water & a touch of honey from Savannah Bee Co. Sweet tea with a slight floral kick! Marigold: We combined culinary marigold with our lemon simple syrup and just a touch of vanilla. Marshmallow & Hibiscus: Sweet taste of marshmallows combined with our finely ground culinary hibiscus. 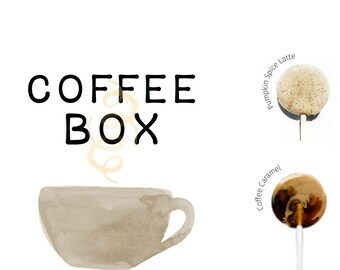 ★ You will receive 100 lollipops per order. ★ Each lollipop measures 1.4” wide by 1/2” thick and comes on a 4 1/2” branded stick. So not only were these so cute but they were good AF. Super addicting. My guests loved them too, order lots of extra because you will wish you did, they are that good. Great product. Thanks for offering these! These were just as pictured, so pretty, and tasted so good! 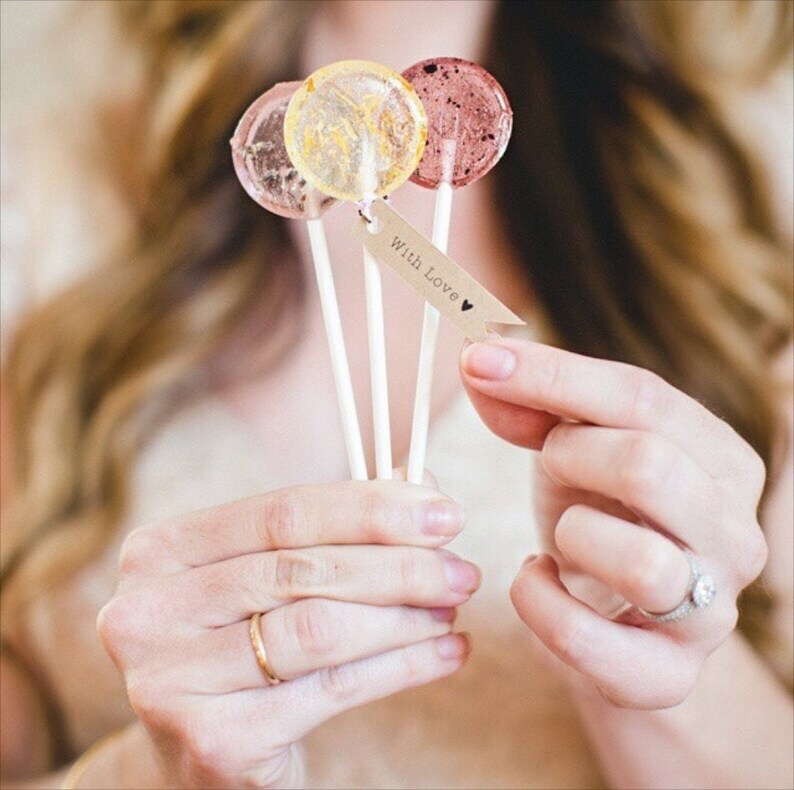 I ordered sweet lemon lollipops for my bridal shower and added the shop’s floral labels on them as well. They were such a hit. I would definitely consider ordering them again for another event in the future.